Here is a round hand embroidered antique vintage Arts and Crafts linen tablecloth table cover topper. 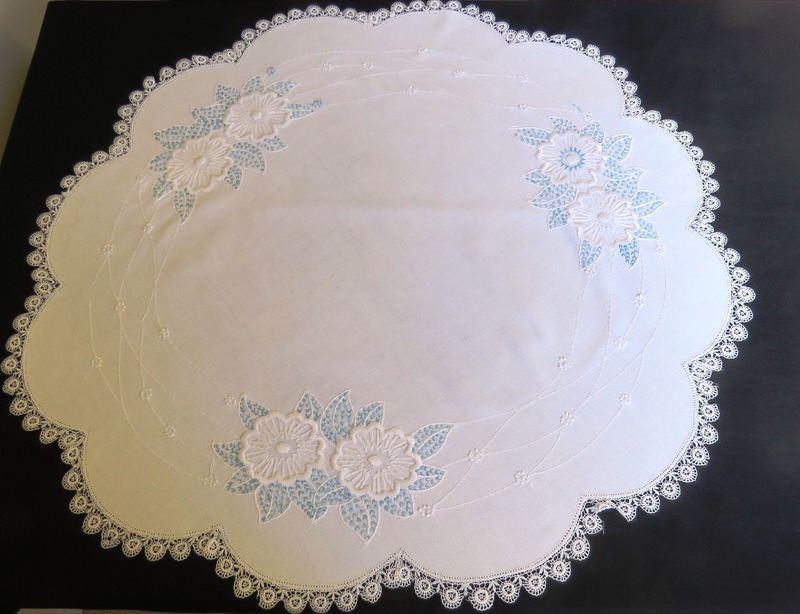 The antique vintage tablecloth table cover topper features a hand embroidered blue and white flower design with a machine made lace edging. Antique Vintage Tablecloth Table Cover Topper Measurement: 30" x 31" (including lace edging). Antique Vintage Tablecloth Table Cover Topper Condition: Very good condition with some imperfections. There are 3 broken threads in the embroidery work. 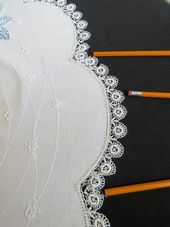 There are some breaks to the lace edging around the tablecloth table cover topper, 2 faint marks on the table cover topper. The antique vintage arts & craft tablecloth table cover topper is in "as found condition".